In 1938 Collier Cudmore (1885-1971) gave portraits of his grandparents to the Art Gallery of South Australia. The portraits were painted by Andrew MacCormac born County Down, Ireland in 1826 and died in Adelaide in 1918. Daniel and Mary Cudmore were my third great grandparents. Collier Cudmore was my 1st cousin three times removed, that is he was the first cousin of my great grandfather Arthur Murray Cudmore. 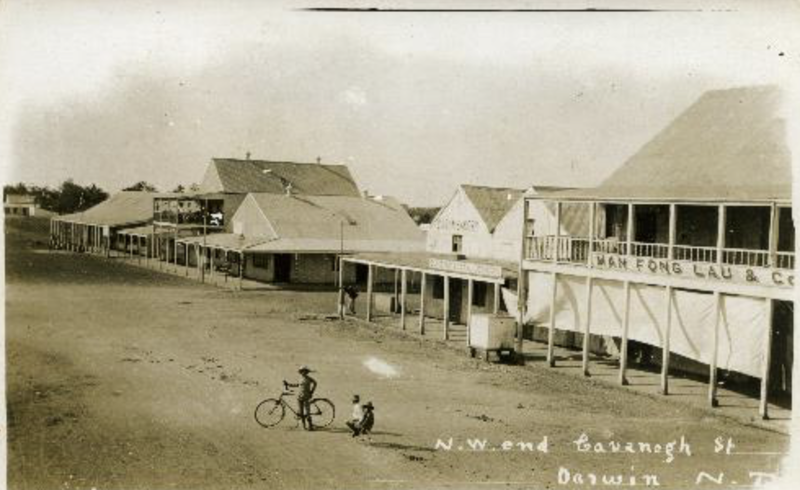 Trove is a repository of digitised data managed by the National Library of Australia. 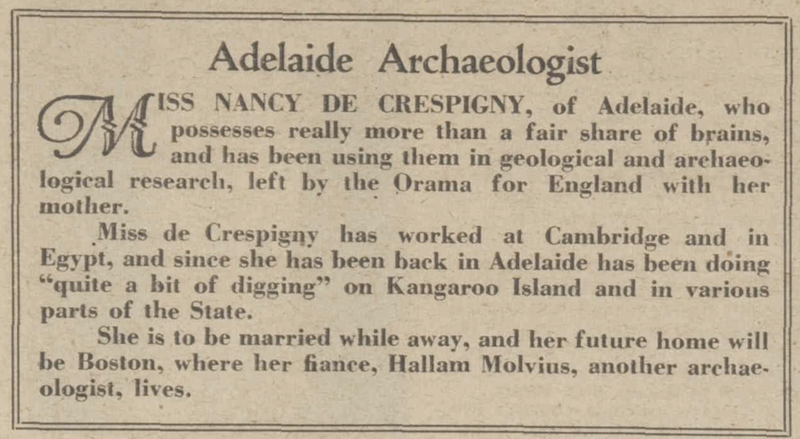 Recently when I was researching Trove’s digitised newspapers, I came across a newly-added photograph of my great aunt Nancy de Crespigny. 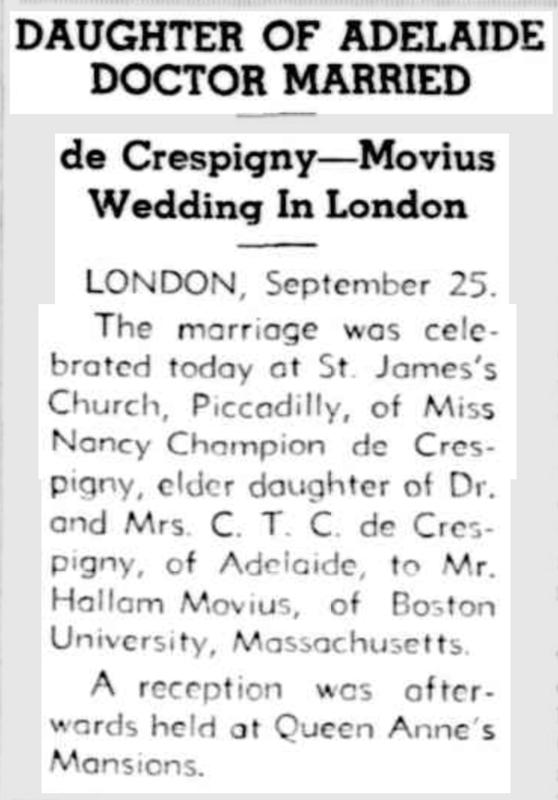 Nancy Champion de Crespigny (1910-2003), the second child of Constantine Trent Champion de Crespigny and his wife Beatrix née Hughes, was the sister of my grandfather Geoff. She was a close lifelong friend of my grandmother Kathleen, Geoff’s wife. 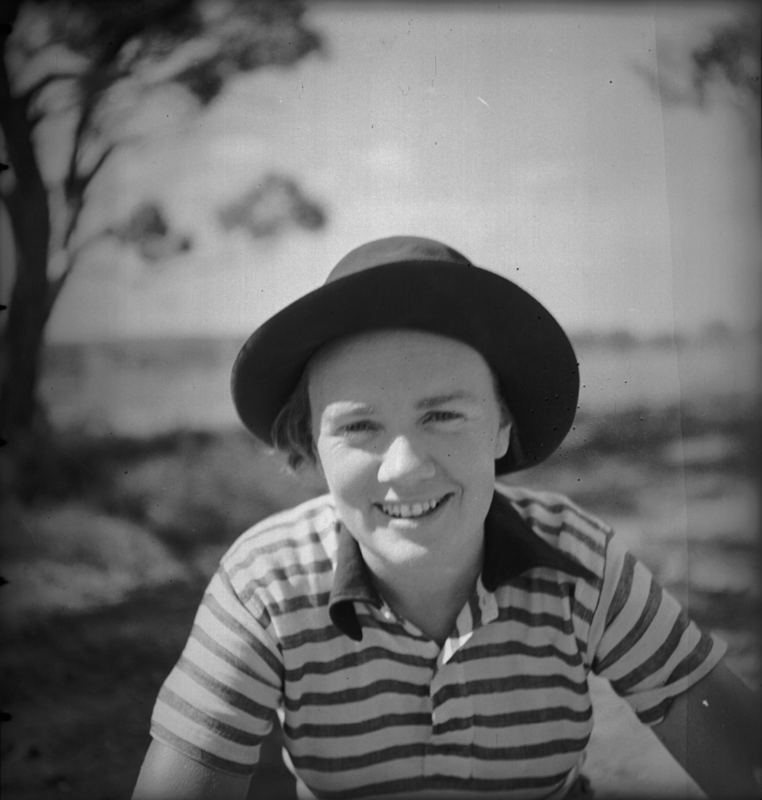 Nancy went to Woodlands School in Adelaide and then attended the University of Melbourne, where she graduated in 1933 with a history degree. 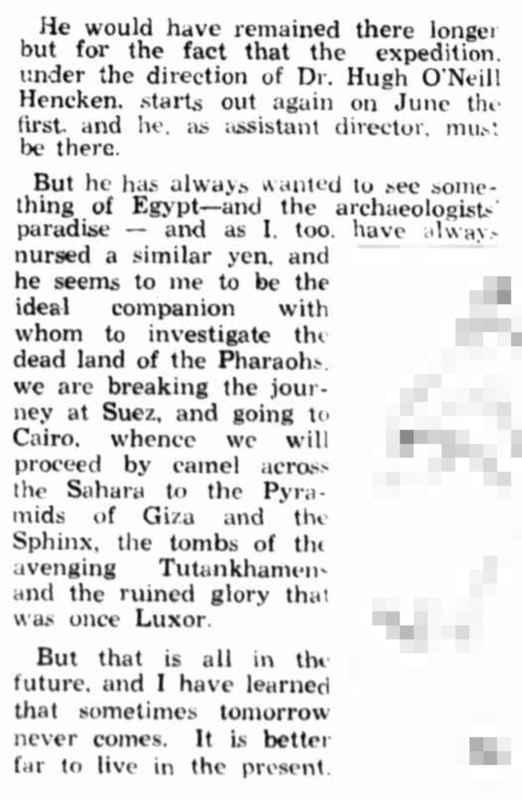 She studied archeology at the University of London and Newnham College of Cambridge University. 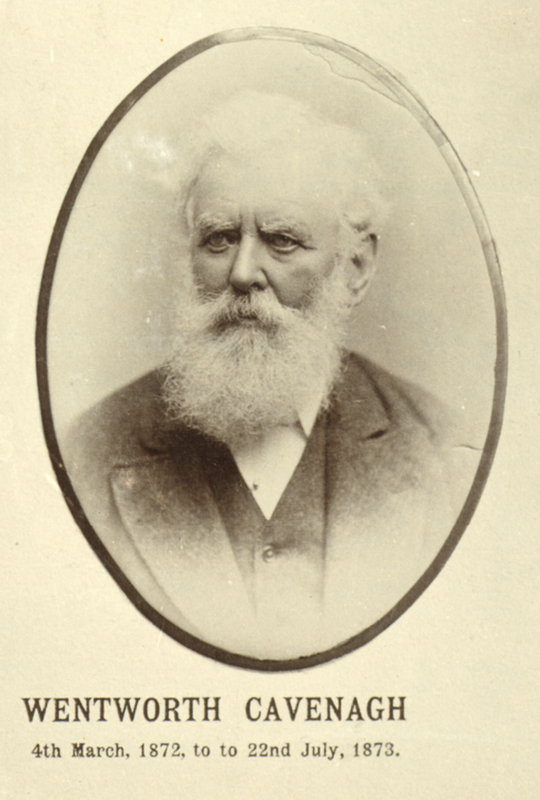 The photograph comes from the State Library of Australia. 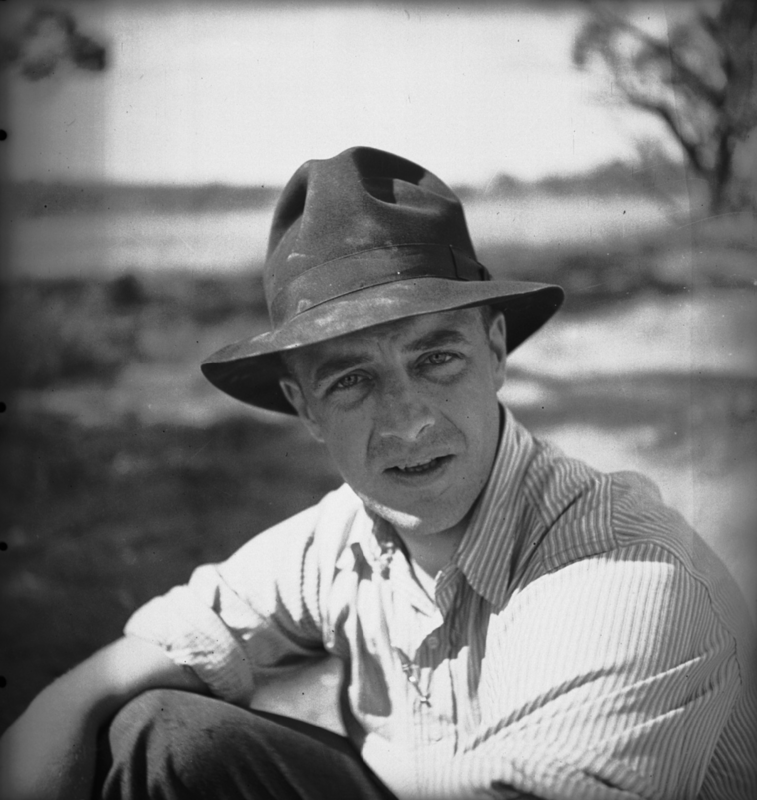 It was taken 8 March 1936 by Charles Pearcy Mountford (1890-1976) at Salt Creek, also known as also known as Winnininnie Creek, about 330 kilometres north of Adelaide. The photo of Nancy is in the Mountford-Sheard Collection. 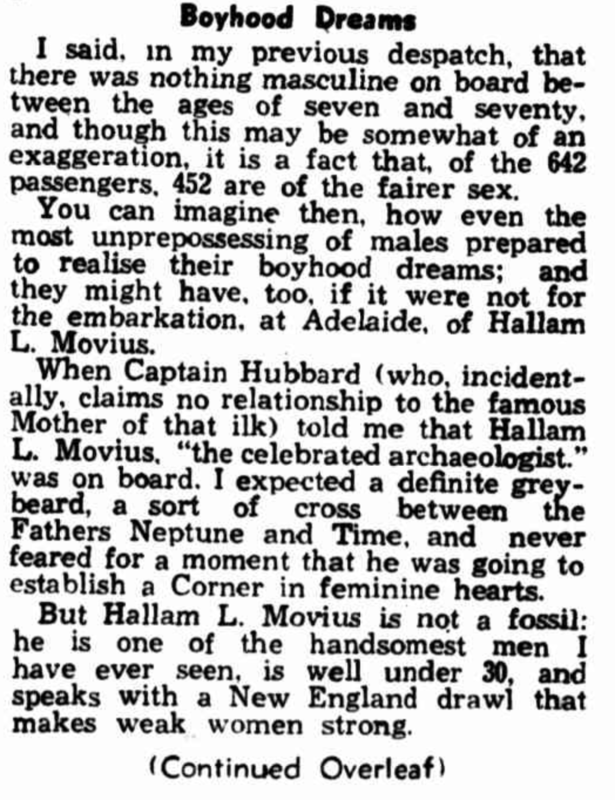 In the same collection I found two shots of Nancy’s future husband Hallum Movius (1907-1987) taken on the same day. 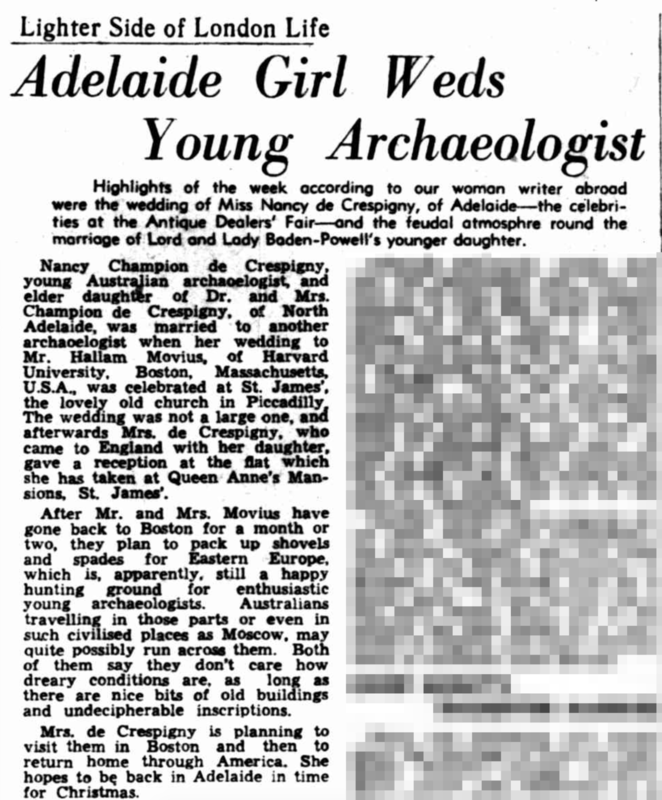 The Adelaide Advertiser of 11 March 1936 mentions Nancy and Hal’s excursion. 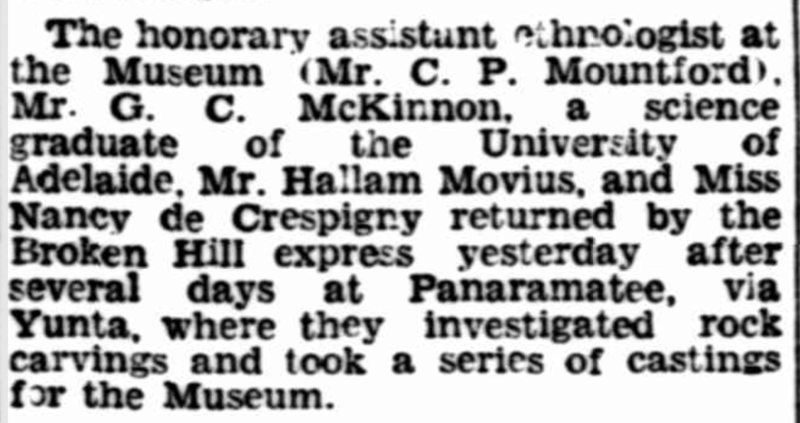 With them was the Adelaide anthropologist Charles Pearcy Mountford (1890-1907) . 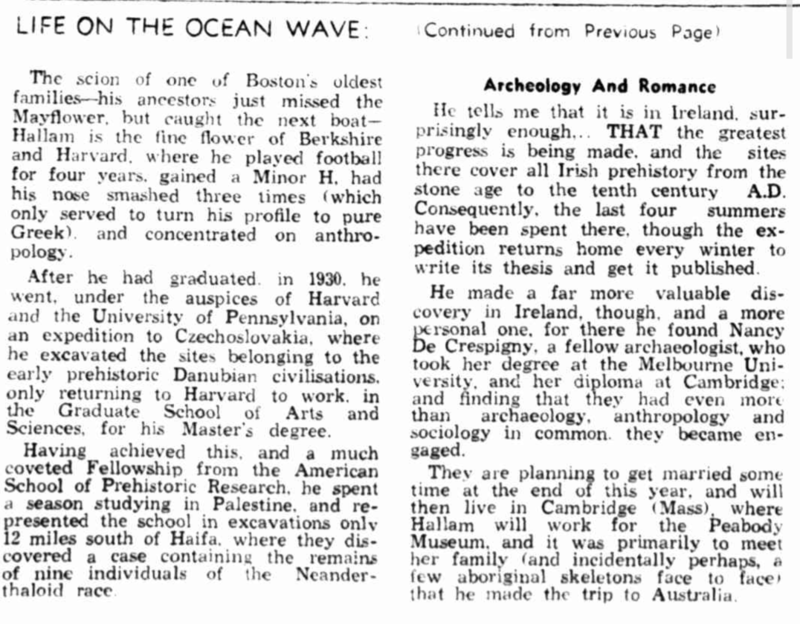 A few months later, in June, Hal sailed from Australia. Nancy followed in July. In September the pair married in London. 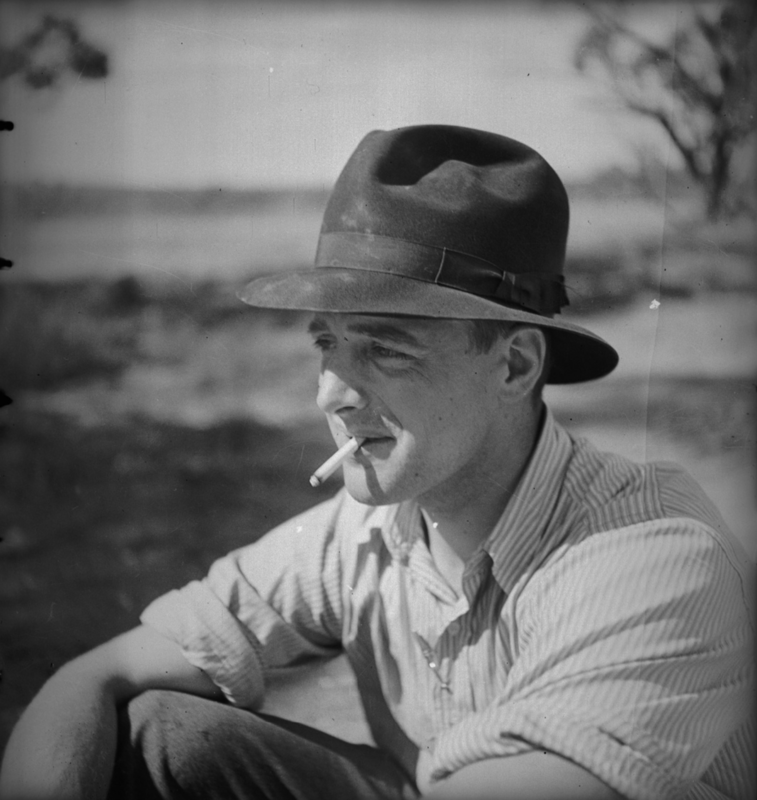 Philip Jones, ‘Mountford, Charles Pearcy (1890–1976)’, Australian Dictionary of Biography, National Centre of Biography, Australian National University, http://adb.anu.edu.au/biography/mountford-charles-pearcy-11188/text19941, published first in hardcopy 2000, accessed online 2 May 2017.